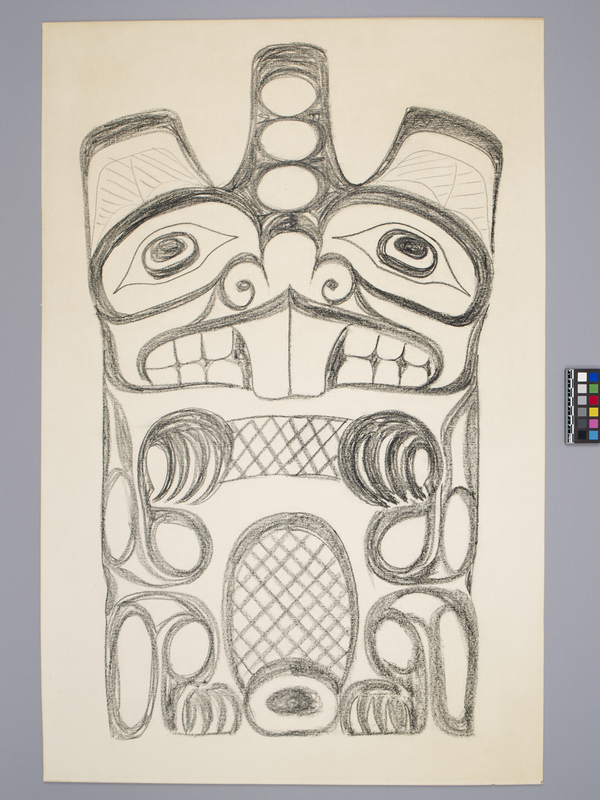 Item number 2882/2 from the MOA: University of British Columbia. Rough, large charcoal sketch of a Haida stylized beaver on thin cardboard. Unsigned. 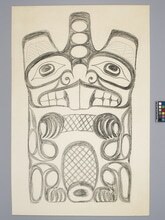 Label on the back of the old framing paper read: "'Haida Beaver' sketched by William Reid for lecture at Vancouver Art Gallery March 6th 1967."